Mandala Seeds - Ganesh. Free US delivery. 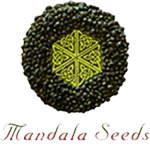 Ganesh was specially created for the 5th anniversary of Mandala Seeds. 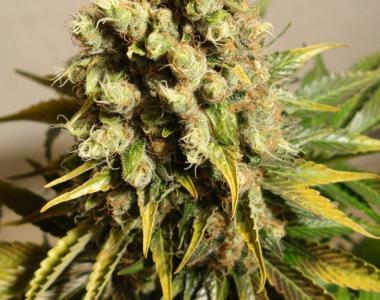 They recreated their exotic, high-class indica-sativa hybrid Yamuna from the Limited Collector's Ganesh Edition, which was issued during their first year, and crossed it with their best Afghan parent from seed stock collected in the 1980's. The result is an impressive stout plant oozing with resin that grows like an indica and feels like a sativa! Because of its short stature and even growth style, Ganesh is great for indoor grows and requires little to no feeding if grown in quality soil! The dense and crystal encrusted flowers have a rich and skunky smell that underlines the top shelf condition of the smoke. The flavor is said to be sweet and earthy with a chocolaty finish that sounds delightful. Simply put, Ganesh combines the best of both worlds effortlessly and is a great smoke for fun activities or relaxing ones.